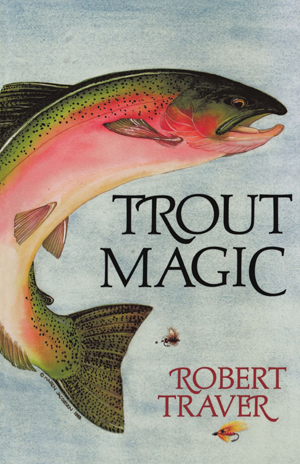 A warm, joyous look at trout fishing and its attendant tall tales, strange happenings and all-around fishing. A marvelous catch of wit, wisdom, and anecdote. B/w drawings; 6x8 inches, 224pgs. John D. Voelker (a.k.a Robert Traver) was a man of many varied talents. A retired justice of the Michigan Supreme Court, he also wrote Anatomy of a Murder, one of the most popular courtroom dramas ever published. It was made into the highly successful movie with Jimmy Stewart and George C. Scott. Traver died in March 1991, in Ishpemming, on his beloved Upper Peninsula of MI.